Luciano has extensive experience as a trial lawyer and as a consultant on justice matters, human rights and public interest. In the public sector, he has been Chief of Staff of the Technical Advisory Board Chair and the Congress of the Republic (2011-2012) and Parliamentary Counsel (2001, 2006). 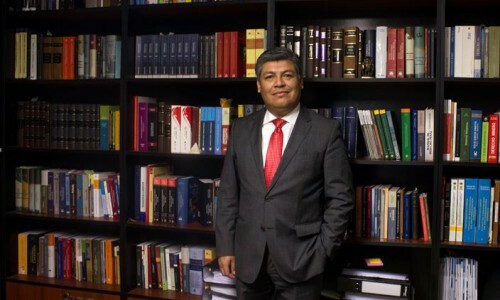 He is an arbitrator of the Peruvian Arbitration Court CEPEFODES-COFIDE. He is an expert in Constitutional Law, Constitutional Litigation, Judicial Policy, Administrative Law, Parliamentary Law and Arbitration. Practicing member of the Bar Association of Lima. He is a lawyer by the Private University of San Martin de Porres. Master of Laws in Jurisdictional Policy by the Pontificia Universidad Catolica del Peru. Candidate for Doctor of Law from the Pontifical Catholic University of Peru.